Gov. 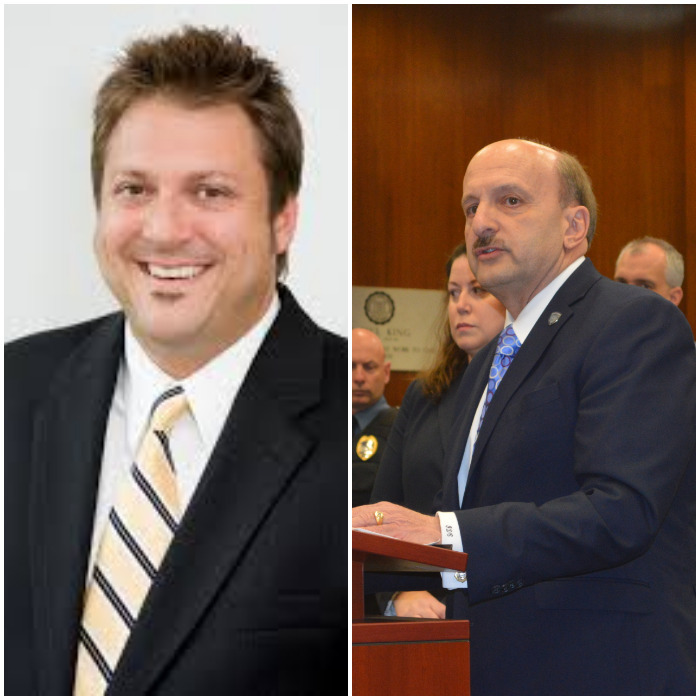 Phil Murphy on Monday nominated a Toms River criminal defense attorney as the next Ocean County prosecutor, replacing Joseph D. Coronato, who was appointed by former Gov. Chris Christie and has gained national acclaim for his anti-drug efforts. Bradley Billhimer, a former intern of U.S. Sen. Frank Lautenberg who went on to become an attorney in Toms River specializing in criminal defense, has been tapped to replace Coronato as the county’s top law enforcement officer. Billhimer is a resident of Bayville, according to the governor’s office, which released news of the nomination just after 5 p.m. Monday. Billhimer, a 48-year-old Democrat, first threw his hat into the political ring in 2011, challenging state Assembly members DiAnne Gove and Brian Rumpf, both Republican incumbents. He lost the election. Ocean County officials had quietly been lobbying Murphy to keep Coronato in office after his five-year term ended in March, especially given the slew of initiatives he began to fight the opioid addiction epidemic in the county. Just last week, Coronato testified in front of the U.S. Congress on the dangers of the painkiller fentanyl on the black market. But the effort was considered an extreme long shot by Republicans in deep-red Ocean County, where Murphy was handily defeated by his GOP challenger in 2017. Coronato oversaw the creation of the Blue HART program to direct drug offenders into treatment rather than jail, the carrying of Narcan by police and EMTs that has now been extended to the rest of the state as well as a registry of items turned into pawn shops that connects with databases in other counties. But recently, his office has been dealing with a lawsuit after a top prosecutor, Michael Paulhus, was fired for “creating a hostile work environment.” Paulhus then sued, saying he was really terminated for blowing the whistle on alleged crimes by an anti-drug coach who was working the prosecutor’s office. The office has also come under criticism over the prosecution of former Brick schools superintendent Walter Uszenski, in which a judge threw out two indictments and wrote a scathing opinion after she said prosecutors failed to present potentially exculpatory evidence to grand jurors. The case has been filed for a third time and remains pending despite most of the original charges having been dropped. The website for Billhimer’s law firm was down Monday. He has practiced criminal law in Ocean County for over 20 years, first with fellow attorney S. Karl Mohel and then in a solo practice since 2010. Coronato replaced former prosecutor Marlene Lynch Ford, a Democrat appointed by former Gov. Jon Corzine. Ford has since returned to the bench after Christie nominated her for a second judgeship after her prosecutorial term ended. Billhimer’s nomination requires the confirmation of the state Senate.